Dems have been badly stung by establishing precedents that eventually get turned on them. The ultimate was Harry Reid’s nuking the filibuster for Federal judicial appointments. OK, that allowed Obama to stack the DC appelate courts (a big deal!) but it paved the way for McConnel to finish the job – nuking the SCOTUS filibuster. So, the Dem’s cute move ended up with Gorsuch and Kavanaugh taking their seats on the Supreme Court. Then, there was Obama’s famous “pen & phone” … circumventing the Congress with a series legally questionable Executive Orders. Yeah, until Trump rescinded some of the EOs ..and issued some of his own. Why not, the precedent had been set. 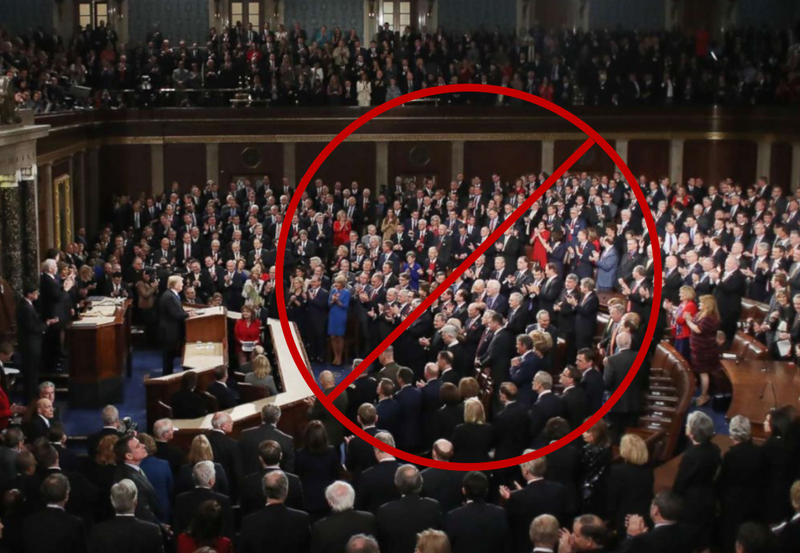 Pelosi – trying to burnish her Trump-hater credential – refused her legal obligation to invite the President to pitch the State of the Union address. Imagine the wailing if the GOP-controlled Congress had told Barack Obama to stay home. Well, mark my words, it’s going to happen some day … a GOP Congress cancels a Dem president’s showtime. They’ll be accused of some sort of racism or gender-bias or whatever. But, the GOP will be able to smile and point to this year’s shenanigans. It’s called the power of precedent. This entry was posted on January 25, 2019 at 6:59 am and is filed under Precedents - Power of Precedents, SOTU. You can follow any responses to this entry through the RSS 2.0 feed. You can leave a response, or trackback from your own site.